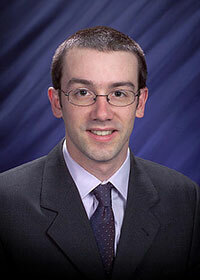 Congratulations to Dr. Sebastien Kerisit, geochemist at Pacific Northwest National Laboratory, who was appointed an associate editor for Geochemical Transactions. Kerisit was chosen for his expertise in geochemistry, modeling, and materials science as well his experience as a reviewer. As an associate editor, Kerisit will review manuscripts and find qualified peers to review each article. After analyzing the reviewers' comments, he will recommend or reject articles with just a few weeks of the article's submission. Geochemical Transactions is the official publication of the American Chemical Society's Geochemistry Division and serves up articles on the chemistry of terrestrial and extraterrestrial systems. This open-access journal delivers articles for free online, allowing scientists worldwide easy access. Further, the journal is available through widely recognized repositories. At Pacific Northwest National Laboratory, where he has worked since 2004, Kerisit is investigating mineral nucleation and growth, especially as it relates to carbonates which are of interest for carbon sequestration. He also develops and refines models for nuclear waste vitrification, which traps highly radioactive waste in glass and away from the environment. Kerisit volunteers extensively with the American Chemical Society, with session organizer and program chair being just a few of the roles he's served.